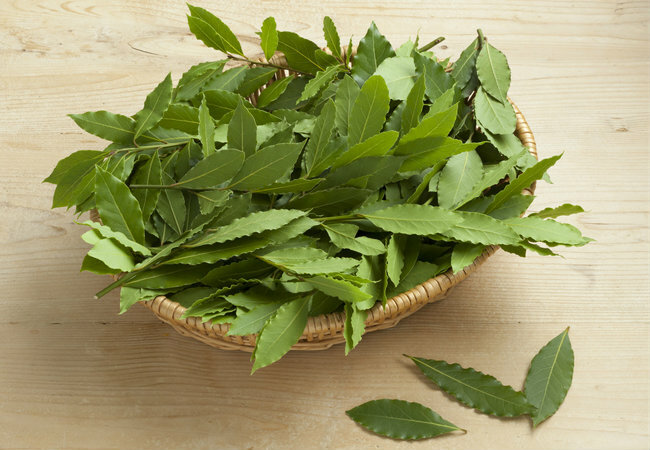 If you enjoy growing fresh herbs, growing your own bay leaf laurel plant will add an exotic flair to your indoor or outdoor garden. Bay leaves have been used for cooking and medicine for thousands of years. 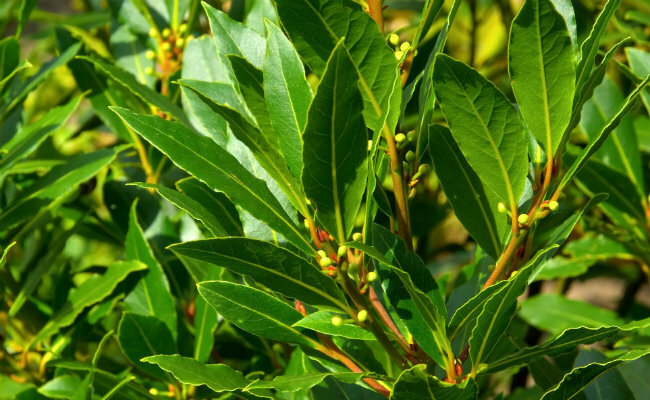 The bay leaf laurel plant (Laurus nobilis) is native to the Mediterranean. It usually grows as a shrub, but it can reach up to 60 feet (18 meters) tall. Bay laurel will also adapt well to smaller spaces and makes a great container plant. Let’s take a closer look at growing bay plants, harvesting and storing the leaves, and some recipe ideas for your fresh crop. The easiest way to start a bay plant is to buy one from your local garden center if they have them in stock. You can also buy a package of bay laurel seeds online, or take a cutting of a bay plant if they grow in your local area. As a word of caution, make sure whatever plant or seed you start with is labelled Laurus nobilis. Some plants called similar names, like bay or sweet bay, may be different species that are not edible. And if you’re not sure a cutting is from a true bay laurel plant, get a professional identification before eating it. If you’re starting your bay laurel from seeds, plant the seeds about 1/8-inch deep (3 millimeters) in a well-draining potting mix in a small pot. Keep it around 70 degrees Fahrenheit (21 degrees Celsius) and water regularly. Germination can be irregular, taking anywhere from 10 days to 6 months. If you’re starting your bay from cuttings, check out the San Francisco Chronicle’s detailed instructions on how to root a bay leaf cutting. Bay plants are hardy to USDA zone 8 and can’t tolerate frost. If you live in a colder region, your bay tree will have to come inside for winter. When planting a bay tree outside, choose a location with full sun to partial shade. They do best in soil that’s rich in organic matter. Water your plant as needed, usually only after 7 to 10 days if you’ve had no rain. Mulch the surface of the soil to retain water and provide winter protection for the roots as bay trees tend to have shallow root systems. Bay trees are slow-growing, so minimal pruning is needed. You can prune to shape them as they grow, or they can be made into hedges or topiaries. For indoor or potted bay laurels, keep in mind that the size of the pot will dictate the size of the plant. A smaller pot will naturally keep the growth in check. Whereas, a large pot will allow your bay to grow more. 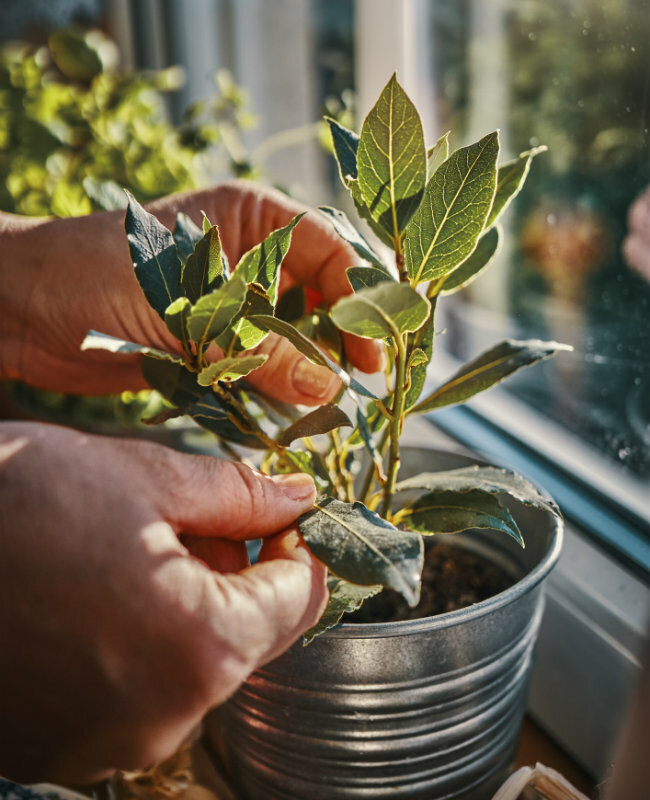 Bay plants will do fine growing in a 6-inch (15 centimeter) pot on your window sill, or as larger specimens in pots 24 inches (61 centimeters) and up. Keep your containers in a sunny or bright location and use a well-draining potting mix. Allow the surface of the soil to dry out in between watering. Your bay will benefit from added fertilizer or compost periodically. As bay laurel plants are slow-growing, wait until your new plant is well established before harvesting any leaves from it. The leaves can be harvested at any time, but the mature leaves have the best flavor. Depending on how big your plant is, you can pick off single leaves as needed and use them fresh. Or you can harvest many leaves at once and dry them by laying them out in a single layer in a warm, well-ventilated area for about 2 weeks. Make sure your leaves are completely dry before putting them into air-tight containers. They should maintain their flavor for up to a year in storage. Whether fresh or dry, bay leaves are always quite tough and leathery. It’s best to crush or grind them into a powder before use, or remove whole bay leaves from a dish after cooking. Need some ideas for cooking with your new crop? Try some of these delicious recipes that use bay leaves.